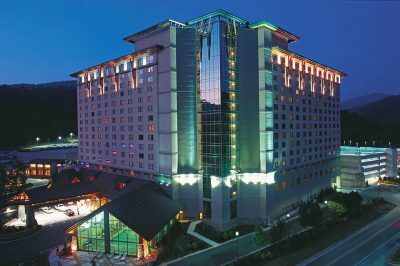 The events of the 2018/2019 WSOP Circuit stop at the Harrah’s Cherokee in North Carolina have been in full swing for more than a week now. Since November 22nd, the Harrah’s Cherokee casino has been home to the latest stop of the live poker series. A total of 13 gold ring events are included in the stop’s schedule, along with a Ladies Event and two Seniors Event, all worth $250. Some of them have already been brought to an end, with a crowned winner having emerged, and some of them are yet to begin, with the last event of the stop – the $400 NLHE Double Stack event – set to start on December 2nd with a $75,000 guarantee. 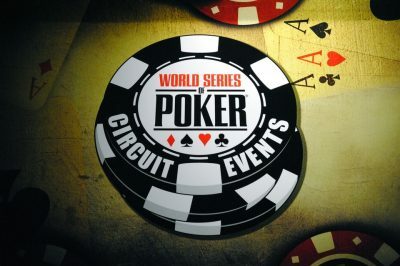 As always, the WSOP Circuit offers a great variety of events with different buy-ins and guaranteed prize pools. Undoubtedly, the Main Event is the most expected event included in the poker series’ schedule. The Main Event will kick off on November 30th with the first of its two starting flights, followed by another Day 1 on December 1st. Then, two more days will follow, on December 2nd and 3rd, respectively. Players can enter the Main Event in return to a buy-in of $1,700 to try and win a share of the massive $1,000,000 guaranteed prize pool. For now, eight events of the WSOP Circuit Harrah’s Cherokee stop are over, with seven gold rings having found their new owners. The first event of the series stop in North Carolina – the $400 No-Limit Hold’em event was conquered by Elilton “Tom” Gouveia, who also grabbed the lion’s share of the $750,090 prizepool and took home a prize of $104,807. Then, another $400 NLHE event took place, with Keldon Smith emerging victorious, getting his first WSOP Circuit gold ring. Apart from that, Smith also scooped $36,403 of the event’s $169,290 prizepool. November 26th saw another WSOP Circuit winner after Blake Whittington took down the $600 No-Limit Hold’em Big Blind Ante event and grabbed the winner’s title, a gold ring and a $46,000 cash portion of the overall prize pool of $209,090. Then, Event #4 ended on November 27th after Daniel Statman emerged victorious from a total of 539 entries. Statman won the NLHE 6-Handed event gold ring and the largest portion of the $177,870 prizepool. One day later, the fifth event in the series ended, with Chris Trotter conquering the title and scooping a $22,256 portion of the $92,730 prizepool. Another gold ring went to James Burns who won the $400 NLHE 8-Handed event and took home a $43,260 portion. Most recently, the $400 No-Limit Hold’em Monster Stack saw its winner crowned, with Martin Ryan grabbing a $70,226 first-place prize and a gold ring after emerging on top of a 1,166 player field.